Today, Istanbul hosts the World Humanitarian Summit, providing a once in a generation opportunity for the global community to come together to agree how to better serve those left behind as a result of conflict, extreme poverty and environmental change. If global humanitarian needs continue to rise as they have in the last decade, an average of 100 million people a year could need humanitarian assistance and protection, with a funding need approaching $100 billion. The focus of the summit will be on greater efforts to prevent humanitarian crises in the first place, to stop conflict and violence, as well as to better assist and protect people affected by crises, particularly the displaced, women and girls, within a sustainable financial framework. This will involve new approaches to investing in humanitarian action, including bridging the gap between humanitarian and development initiatives as a way to address protracted crises, and working with non-traditional donors. In an important contribution to the debate, the Humanitarian Policy Group at ODI published in April a paper entitled: “Time to Let Go: Remaking Humanitarian Action for the Modern Era”. The ODI paper argues for rethinking some of the humanitarian principles of humanity, neutrality, impartiality, and independence that have guided humanitarian action since (at least) the end of the Second World War. Humanitarian organisations are now finding themselves engaged in longer-term, or protracted, crises, where the demarcation between life-saving support, early-recovery, and state-building activities has become increasingly blurred. Whether they like it or not, humanitarian actors have to take a political stance, get access to vulnerable people by negotiating with warring factions, and deliver services to refugee and internally displaced communities against the opposition (or with reluctant agreement) of the host government. Around the world the number of refugees and internally displaced people is growing as people are forced to flee from recent conflicts in Syria, Iraq, South Sudan and the Central African Republic (CAR). But elsewhere, including here in Sudan, there are IDP communities that have been around for a lot longer. For over 13 years in the case of Darfur, communities have been existing in a never-world, unable to return to their homes, and unable to move out of the camps that provide them with rudimentary services and security. There is widespread agreement across the international community (see the IRC’s David Miliband’s recent statement) that IDP camps are not a satisfactory, long-term solution for conflict-displaced people. But finding a politically acceptable and sustainable alternative is also fraught with risks. Last week I had the opportunity to engage with some of these complex issues during a visit to two camps for internally displaced people in Nyala, South Darfur. 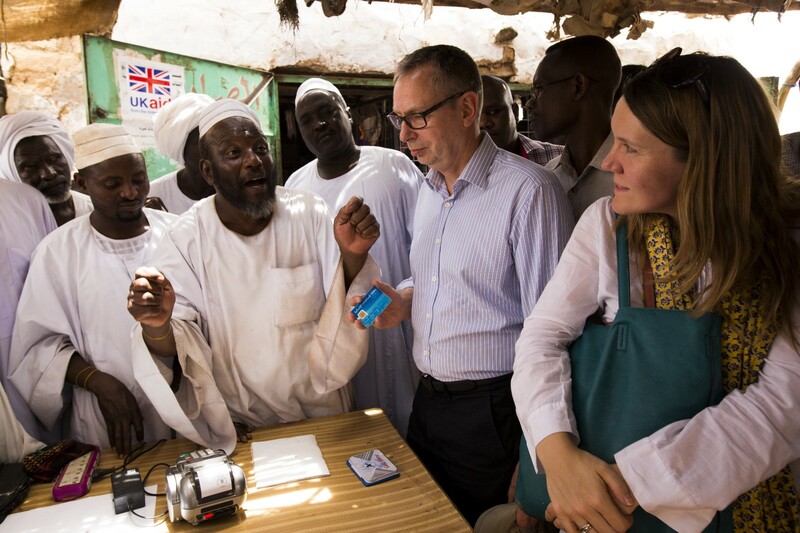 I was there to see how DFID Sudan, with our partners, the World Food Programme (WFP) and World Vision, is supporting food security for communities using cash-transfers and vouchers rather than food distribution. In one of the camps at Dereige, 6 km outside of Nyala, targeted vulnerable members of the IDP community are given pre-loaded cards that they can use to buy goods from registered traders in the camps. 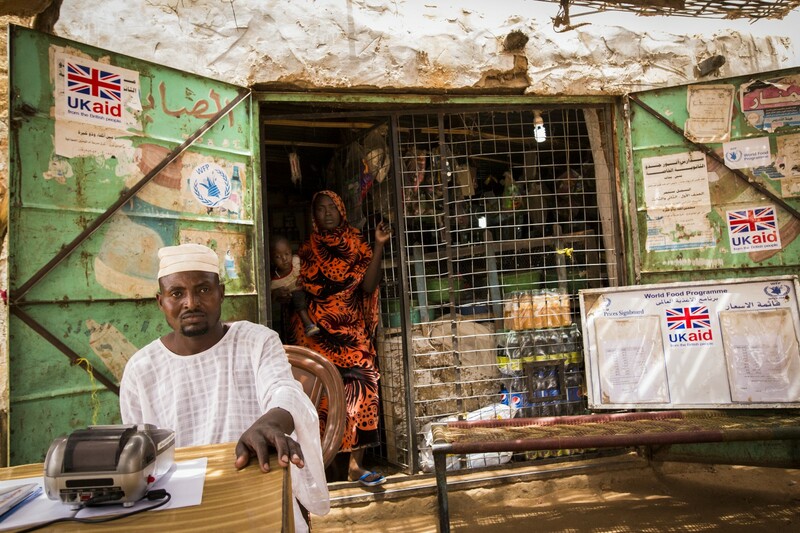 The traders use point-of-sale machines to log the transactions, and then get reimbursed at the end of each month. In Otash camp, I was involved in registering new beneficiaries for the voucher-based scheme. Family members were finger-printed and photographed as part of the registration process, before receiving vouchers that they could use to buy food from market traders. We will shortly be piloting a cash scheme, which will give IDP families even greater control and choice over the food and necessities they buy, and stimulate the local economy. WFP have also been particularly keen to encourage women traders to get involved. Before the scheme there was only one woman trading in the camps — now there are 19. Both the beneficiaries and the traders like the vouchers scheme. They see it as a step in the right direction towards a more sustainable market-based approach. But they are also clear that it cannot resolve the underlying problems that keep so many people trapped in the camps — unable to go back to their homes, and unable to move forward with their lives outside the camps. To achieve this would require education and training, work opportunities in the local vicinity and further afield, and a lasting peace and political settlement that would allow them to return, if they so choose. Meanwhile, more people displaced by the recent conflict in Jebel Marra in central Darfur and conflict in South Sudan are arriving at the camps. Humanitarian organisations are struggling to work with local authorities to provide enough shelter, water, sanitation and basic education to meet the demand. There is a risk that the arrival of newly displaced people will destabilise the delicate equilibrium within the established IDP camps, undoing years of careful efforts to build a degree of sustainable provision. These tensions and contradictions play out across Darfur, elsewhere in Sudan, and in many other conflict affected parts of the world. Solutions are needed that provide displaced people with both access to life-saving support, and that address the reasons that have forced people to leave their homes. 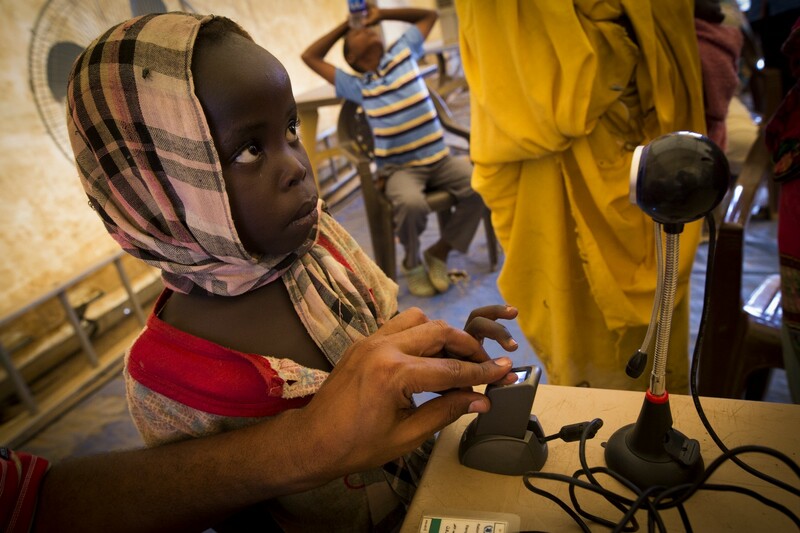 Designing a new humanitarian system that is able to meet these challenges will be a central element of the World Humanitarian Summit — and it may bring new opportunities and hope to over two million internally displaced people here in Sudan. A disruptive digital storytelling project supporting humanitarian initiatives, freeing shackled minds, and amplifying the voices of the oppressed.